LSUC Rule 6.03(8) permits second opinions, but it is an exception to Rule 6.03(7) prohibiting you from approaching or communicating with a represented person except through the retained lawyer or with that lawyer’s consent. Stay within the Rules. When contacted, explore whether a second opinion is needed. Many are just frustrated that “I don’t know what’s happening.” If communication is the issue — and often it’s the only issue — encourage the client to raise his concerns with his lawyer. That may solve the problem, you can explain, without spending the time, effort, and money for a second opinion. Do not misinform the client that “you must first tell your lawyer.” There is no such requirement. The client is entitled to seek the second opinion in confidence. While you may adopt a practice, as some lawyers do, that you will not give an opinion unless the retained lawyer is informed, inform the client that this is your practice, not a requirement. That said, encourage the client to inform the retained lawyer. To know the case, you ideally would have the retained lawyer’s cooperation. The client might insist, however, on receiving the opinion in confidence. If so, respect the client’s decision, but be sure to emphasize that the strength of your opinion will be limited by the history provided. Only in a rare case will you be as informed as the retained lawyer. Insist that the client identify “the documents, the facts, and the history the second opinion will be based upon.” If that cannot be done, you might wisely choose not to provide an opinion. Emphasize that you are there to give your frank opinion on the case, not to criticize or endorse the lawyer. Ignore any venting. Keep the meeting focused. Unless you have permission, do not discuss the case or the fact that the client contacted you with anyone, especially the retained lawyer: Rule 2.03. If asked “how much would it cost to hire you?” explain that “this meeting is only for a second opinion, you already have a lawyer, and I not allowed to have that discussion.” Rule 2.09(10) prevents you from agreeing to any retainer. With the proper exercise of professional judgment, second opinions can and should be a healthy part of your practice. When the opportunity arises, don’t hesitate. 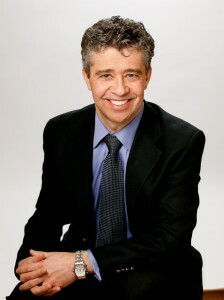 Craig Penney is a criminal defence lawyer practicing in the greater Toronto area since 1994.